The addictive new series by top author Lauren St John. Deadly mysteries and grand adventures on Dorset’s idyllic coast – all with a totally wild twist. Better than Blyton! 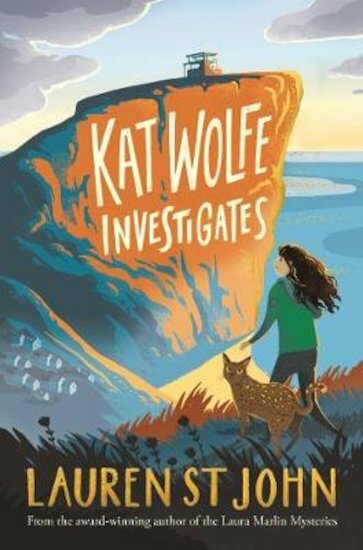 Just like Enid Blyton’s seaside sleuths The Famous Five, Kat Wolfe loves hunting down adventures in her little beach town. But while the Famous Five had a dog, Kat has her own wildcat. Cool! Things might look tranquil in Bluebell Bay, but when Kat starts pet-sitting for pocket money, she finds dark secrets lurking beneath the town’s perfect surface. Then one of her clients vanishes from his clifftop mansion. As Kat and her new friend Harper try to figure out what’s going on, their search for clues turns deadly. Can their unruly pets save their lives?